Stewardship is more than caring for the environment. Stewardship is not a capital campaign. We believe the time has come to reclaim the biblical meaning of stewardship. Everything we have—our time, talents, resources and relationships—are gifts from God, and He will hold us accountable for how we use them. We’re all committed to helping people reap the blessings of living intentionally for God in every area of their lives. That’s what StewardshipCentral.org is all about. For more than 20 years, our team has been privileged to help families and churches learn how to handle money God’s ways. We’ve partnered with pastors and church leaders to provide hope for millions of families. We’ve worked together to help them beat debt, build a plan, rewrite their stories and change their family trees. To say we love serving families and supporting the church only scratches the surface. It’s really why our team does what it does. Over the last few years, economic uncertainty has increased the need to share the message of hope even more. We’ve seen what happens when families get intense and intentional, and that’s motivated us to find even more ways to help folks handle God’s resources with purpose—in every area of life. As a church leader, you understand the spiritual discipline of managing every area of your life for God. You also know how applying biblical stewardship can transform entire families. It changes the way they serve and give. It strengthens marriages and empowers parenting. It fuels passionate worship. Simply put, it changes everything! StewardshipCentral.org is igniting a revolution—a revolution of hope that transforms people and churches for God’s glory. And we’re inviting you to join us. Together, we can reclaim biblical stewardship. Together, we can make a difference in the world. Dave Ramsey is America’s trusted voice on money and business. More than 2 million families have attended Financial Peace University in more than 40,000 churches nationwide. 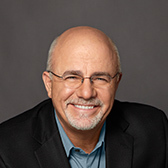 His nationally syndicated radio program, The Dave Ramsey Show, is heard by more than 6 million listeners each week on more than 500 radio stations throughout the United States. He has authored seven National Best Sellers including three #1 National Best Sellers. By age 26, Dave had established a $4 million real estate portfolio, only to lose it all by age 30. Following his bankruptcy, Dave set out to learn God’s ways of handling money. Using the wisdom he gained, he rebuilt his financial life. Dave now devotes himself to teaching others how to be responsible with their money so they can retire with dignity and give generously to others.